Photography in Hyouka episode 22. I should write a proper conclusion to Hyouka, especially since it was such a good anime, but alas, this will have to do. I know that it may seem like I have been talking about Hyouka a lot lately, but this post has been in the pipeline for a while and I only just got around to finishing it; sorry about that. Consider this to be a final “Ode to Hyouka” if you will. Normally, photography involves a camera and a photographer, but in this case, I am simply talking about the framing of shots and their accompanying animation. 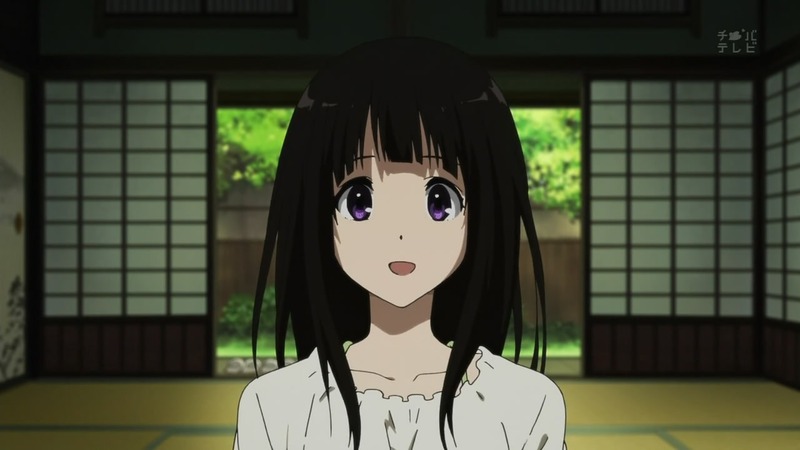 Hyouka was one of my favorite anime of 2012 and it stands in my list of all time favorites. Out of everything that happened in Hyouka, there was one thing or rather one conversation that in my opinion summed up the entire show brilliantly. That conversation was the conversation between Satoshi and Mayaka in episode 17. Talent, hard work and a lovely, green eyed bishie. 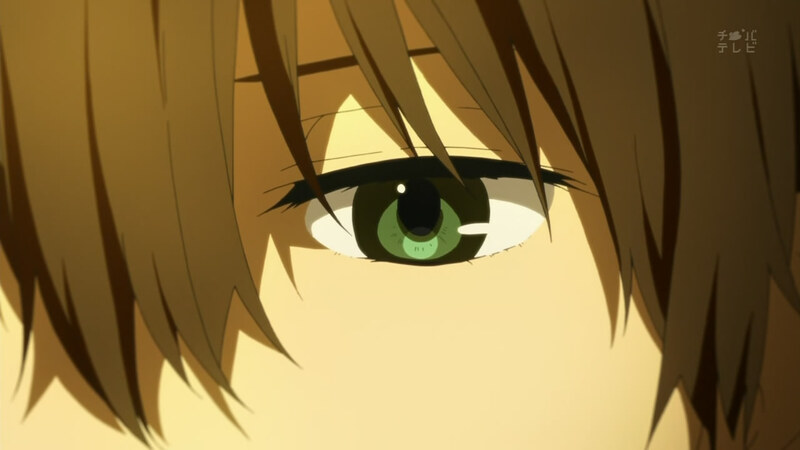 At least now you know the “lovely, green eyed bishie” part was not a lie. Question: Is Chitanda Eru an egghead? The subject of today’s study. You are currently browsing the archives for the Hyouka category.